So, you wanna join the PFQ Armed Forces? So, you want to join the PFQ Armed Forces? 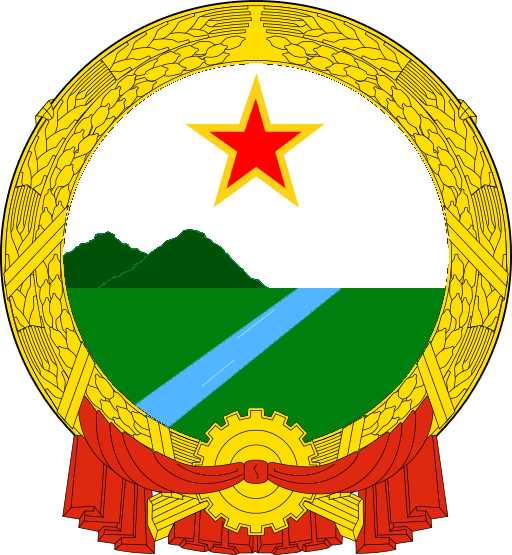 Peoples Federation of Qandaristan has a regional army, called the PFQ Armed Forces, whom consist of 6 to 10 WA soldiers. Due to the low WA percentage of the PFQ, the army isn't so big, but it's very effective and is very organized. The PFQ Armed Forces are also part of the One Army Treaty Organization's troops. The OATO is a defender-aligned treaty organization that protects the interests of it's member-regions and liberates regions raided by The Black Riders and other raiders. More information is found here. If you want to join the PFQ Armed Forces, please copy and paste the application and fill it. Then sent a telegram to Qandaristania or North Chernaruss. 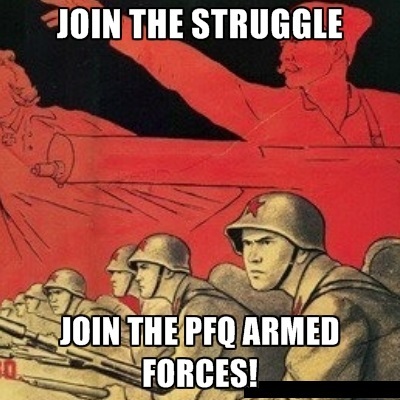 We in the PFQ Armed Forces would like you to join the PFQ Armed Forces to fight alongside us, in the name of PFQ! We hope to see you in the battlefield! Why did you want to join the PFQ Armed Forces? : To establish strategic alliance in defense of my country and my allies. Are you a citizen of the PFQ? (have you applied for citizenship? ): Yes. Do you promise that you will fight for the glory, honor and for the security of PFQ? : Yes. Accepted, although this is not RP. Just to clear things out. Subject: Re: So, you wanna join the PFQ Armed Forces?